A sales warning lopped 22 pct off Partnership Assurance shares, months after the annuity group listed. Peer Just Retirement, which floated this week, is also underwater. Next year could be better. But the duo have dented the UK’s otherwise robust IPO market. 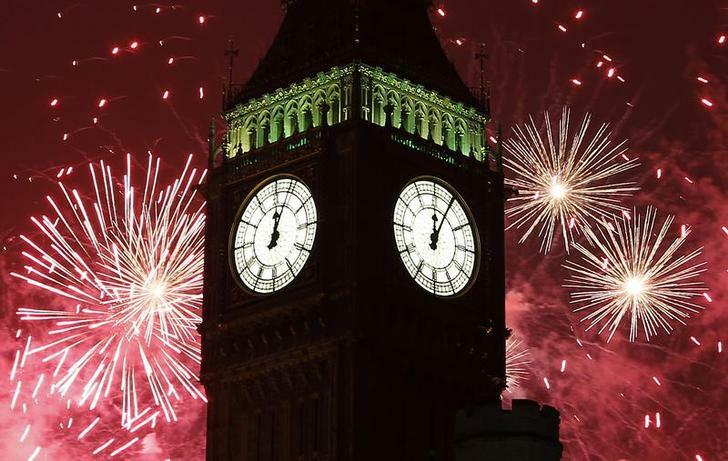 Fireworks explode behind The Big Ben clock tower during New Year celebrations in London. Partnership Assurance Group shares fell 21 percent to 348 pence on Nov. 13, after the provider of so-called non-standard annuities said it did not expect year-on-year retirement annuity sales to grow in the fourth quarter. Partnership said the comparison with the same period a year earlier was difficult because customers had rushed to buy policies in late 2012, before rules banning gender-specific pricing were introduced. However, the company also reported 12 percent sales growth in the first nine months of 2013. Partnership has not issued any specific revenue guidance this year, but envisages compound annual growth of 16 percent for the sector between 2012 and 2016. Just Retirement, a near-rival to Partnership, listed its shares at 225 pence on Nov. 12. The stock fell 7.4 percent on Nov. 13, to 198 pence. Just Retirement offers non-standard annuities to customers suffering from serious but non-fatal medical conditions like angina while Partnership’s clients typically suffer from life-threatening ailments. Both companies are backed by private equity firms.